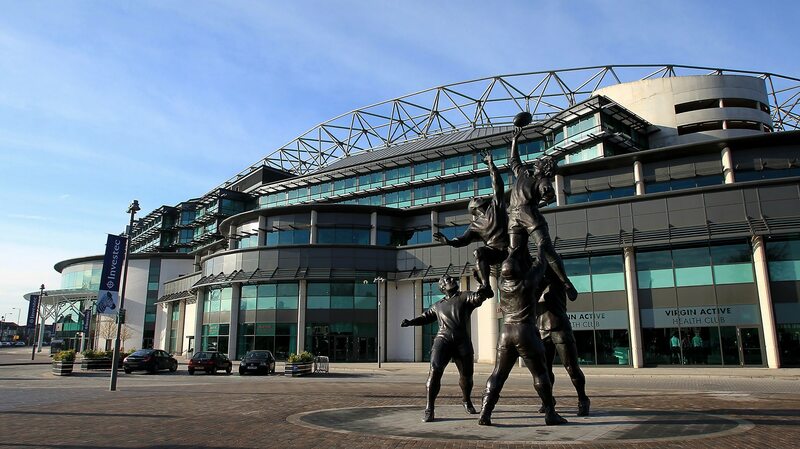 Prior to the 2015 Rugby World Cup taking place, Cemplas Waterproofing and Concrete Repairs Ltd were called in by the RFU to inspect and survey both the landings, and stairs to the external and internal areas of Twickenham stadium. 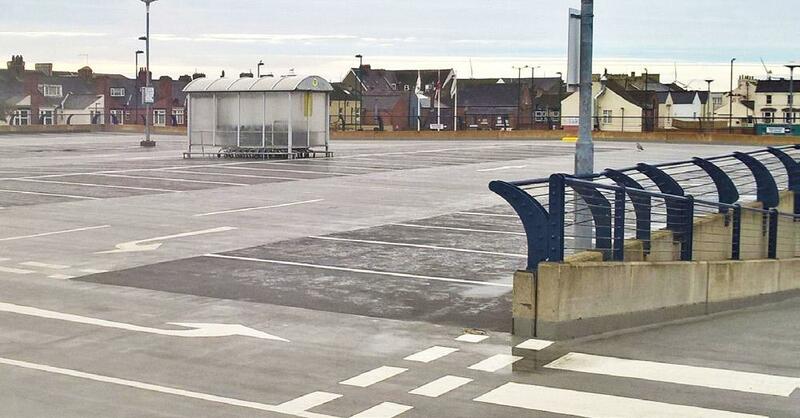 The survey and inspection highlighted the landings and stair nosings to the external areas were not coated, and therefore did not afford any slip deterrent property. The internal steps inside the stadiums arena were coated with an existing yellow safety stair nose coating, but this was shown to be failing and de-bonding from the concrete substrate. Cemplas, along with specialist manufacturer Degafloor, put together a specification to install a slip deterrent coating to the nosing’s and landings of the external staircase areas, and to replace the internal yellow safety nosings with a new resin coating. 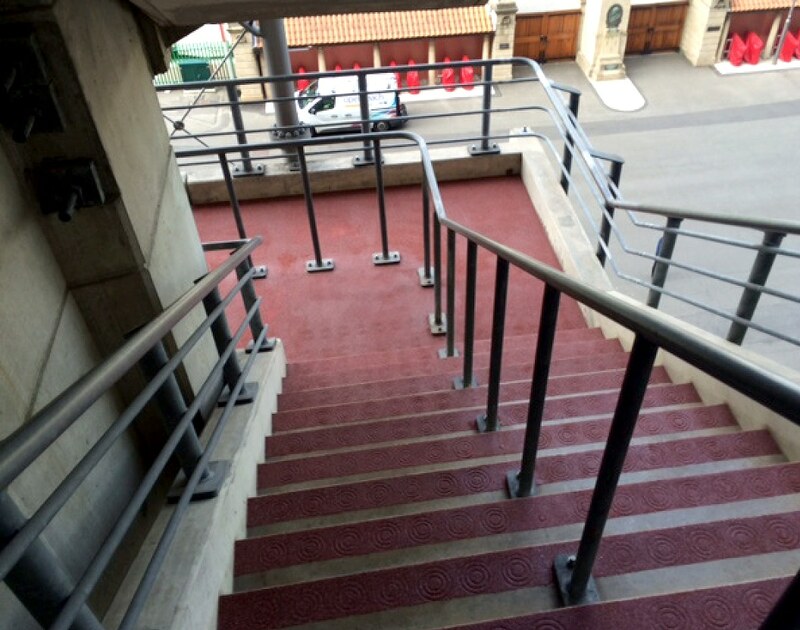 A number of onsite trials were undertaken by Cemplas to show the client different colours, and finishes, and after several trials and discussions with the RFU, Cemplas were awarded a £250,000 order for the resin coating works, equating to around 18,000 steps and some 1000m² of landings. Due to the Rugby World Cup fast approaching, Cemplas had a tight programme to meet, and had 30 operatives on site at any given time during the project. Following all preparation works to the 15 external staircases and stair nosings, Cemplas operatives applied a resin system which incorporated Degafloor 112 pigmented concrete primer, this was then broadcasted with red coloured quartz to provide a degree of slip deterrent, followed by applying Degafloor 529 clear seal coat.Once the works to the external staircases had been completed, Cemplas operatives moved inside to the internal seating area of the stadium to commence with the nosing coating works to the lower, middle, and upper tiers, applying a base coat of Degafloor Resin in green, broadcasted with green coloured quartz and sealed with Degafloor 529 seal coat. With over 45 year’s industry experience, specialist contractor Cemplas Waterproofing and Concrete Repairs Ltd continue to provide expertise and reassurance in all areas, and the works were completed on time prior the commencement of the Rugby World Cup, and to the satisfaction of the RFU.